If you have been constantly dealing with arthritic pain for years, you might feel that some changes need to be implemented to improve your condition. 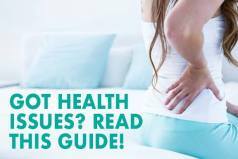 You probably have been experiencing sleepless nights while suffering from excruciating aches and pain on your extremities and it has been very frustrating and wreaking havoc in your life. If you suffer from arthritis, your mattress can either spoil your sleep or allow you to sleep and stretch comfortably. Alleviating arthritic pain when you are asleep is a sum of many parts or factors that surround your medical condition. The knee is where localized pain can mostly be felt by people with arthritis. This is common with old age because of the wear and tear that your bones and ligaments experience as you age. Previous knee or joint injuries can also contribute to this condition. Balance is crucial in achieving a healthy body and ridding it from pain. A healthy and well-balanced diet, exercise regimen, lifestyle modifications, and even changing your mattress can make a world of difference in your sleeping pattern and combating arthritis. 1. Support Doesn’t Equal Firmness! Having the needed support for your joints is the most important thing, such as your neck, spine, hips, shoulders, waist, knees, legs, etc. With arthritis, your ailment requires cushioning and firmness to double the comfort and support needed with this debilitating condition. It is recommended to choose something medium-firm yet soft to safeguard the joints and extremities while providing ample comfort and support to the rest of the body. The added pressure on the extremities or joints can also contribute to the pain and discomfort. There are many options available on the market. It can be confusing when each of them has tons to offer both aesthetically and in functionality. Choosing the right one needs thorough research and also understanding of your own medical condition as well as your personal preference. 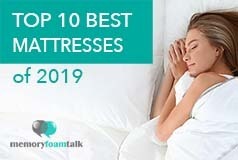 Whether you are a fan of latex, memory foam, or a combination of both – your selection of a good mattress for arthritis depends entirely on your own sleeping preference, plus features that enhance your sleeping curve and cushion your joints. 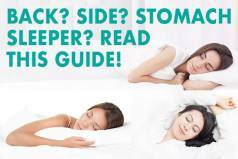 You should identify your sleeping position and how it can affect spinal alignments plus your extremities and then decide on the firmness options available to you. Knowing how much support you would need plus your weight and other requirements, help determine an ideal option for alleviating wakefulness due to arthritis. If you share the bed with a restless sleeper, your condition might only get worse! The movements caused by your partner can ruin your comfortable position. 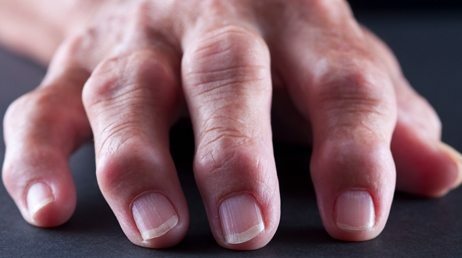 For rheumatoid arthritis and other types, the best model is one with minimal motion transfer. Price shouldn’t be a factor if you want something that can provide solid comfort and support. However, keep in mind that the best model is not necessarily the most expensive. It all boils down to personal choice. There are options that should give more bang for your buck – just like our recommendations. Best sleeping position – The ideal position for people with arthritis is back sleeping because it maintains the natural “S” curve of your spine. However, many people are side sleepers, and they find sleeping on their back uncomfortable. They need to sleep on their side to get a good night sleep. Put a pillow between your knees as it will provide pressure relief on your joints and keep your back straight. Stomach sleeping would be the worst position as it causes your neck to twist and your spine to not be in its natural position. The ability to choose the best model certainly does equate to better sleep. It is important to understand your own medical conditions, limitations in movement, and your own sleep preferences to be able to find the right option for your needs, promoting a restful sleep. For a person suffering from arthritis, choosing an ideal mattress is a turnkey element to achieving better sleep. The copper infused memory foam combined with the ThermoGEL technology in the cover helps enhance its cooling properties and also promotes temperature regulation. It also has the unique properties of being dual-sided with two firmness levels to choose from – one being firm and the other soft, which is a great feature if you suffer from arthritis flare ups and need to modify your firmness from time to time on your own. It will help you reduce pain and get a good night sleep. It is an excellent option, no matter if you tend to stay in one position or there is a lot of tossing and turning involved. All these features make the Layla our top choice for the best model for arthritis. The Spindle is made of 100% natural Dunlop latex which is also customized depending on your sleep preferences. Spindle provides you a set of questions and then offers recommendations in accord to your responses. This comes in different firmness options that you can select yourself. The Spindle has a very comfortable top layer which can be firm or soft yet with either soothes and cushions the joints very well – perfect for arthritic patients. It also works very well for all sleeping positions, and conforms to your body. It also has just the right amount of bounce, contour, and responsiveness that helps you sleep comfortably. The fact that it is made from pure latex allows you to sleep cool despite the hot weather. It also has great edge support and works very well even with people who are overweight. It has minimal sinkage and motion transfer too so you won’t be disturbed even if you share the bed with a partner. All in all, the Spindle is a great choice for those with arthritis and other musculoskeletal ailments. If you want an eco-friendly product then the Avocado should be on top of your list. It is a luxury hybrid composed of two layers of latex that provide comfort along with a pocketed coil foundation layer for good support. The combination of latex and the coil construction allows it to have great pushback and response, making you feel like sleeping on top of the mattress, instead of in it. The Avocado comes in only one firmness selection (6 out of 10 in terms of firmness, 10 being the firmest) but you can purchase additional plush pillow top layer for added comfort if desired. It promotes spine alignment and that’s why it is a favorite choice of people who are suffering from hip arthritis. The Avocado’s innerspring system is great for even weight distribution. This allocates proper support and comfort zoning to the shoulders, hip, and back areas to alleviate pressure points with less sinkage. It also features a high-quality cover made up of organic cotton and Joma New Zealand wool. All in all, the Avocado has that luxurious feel for a very reasonable price tag and one of the best mattresses for arthritis.